Please log in if you already have an account. If you forgot your Username or Password, click Username and/or Password Help below or contact us if you have trouble logging in. 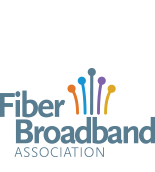 If you do not have an account, Join Fiber Broadband Association or Fiber Optic Sensing Association to access this information and receive many other valuable member benefits. You may also register for a Fiber Broadband Association non-member account or register for a Fiber Optic Sensing Association non-member account.